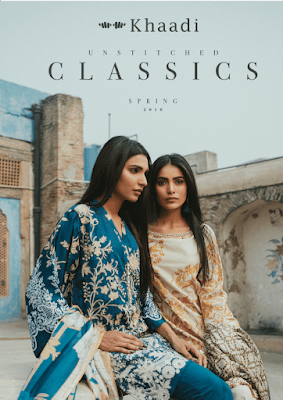 Introducing our unstitched classic collection, inspired from the shades of spring. 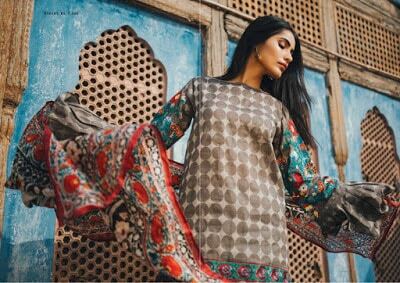 Our spring summer unstitched lawn Collection 2018 for women offers a wide range of versatile design displaying a mix of tribal sensibilities, deeper tones, floral patterns and tranquil hues. 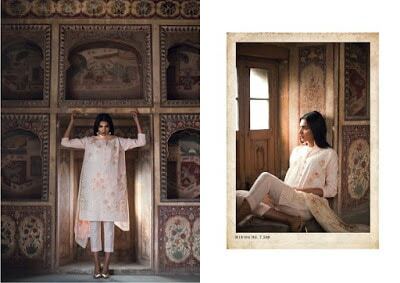 Inspired from the shades of spring, offering a wide range of versatile designs, Khaadi Unstitched Classic collection is available in store. 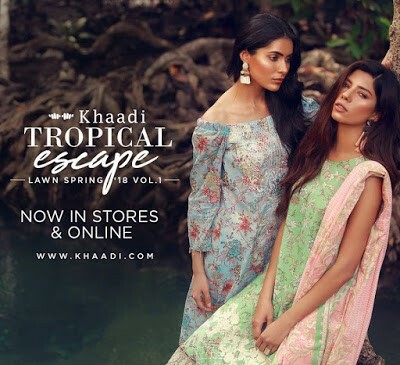 Khaadi, Pakistan’s premium retail and lifestyle brand welcomes spring 2018 with its new unstitched collection, further divided into the Khaadi’s “Tropical Escape’ collection and Khaadi ‘Classic’ unstitched collection. 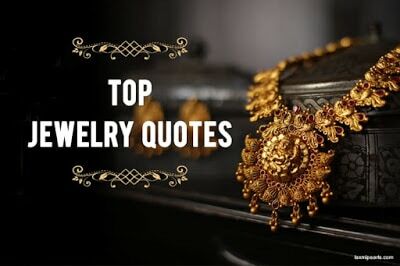 Find out what’s new and what’s in with Khaadi’s top spring trends to try this season! 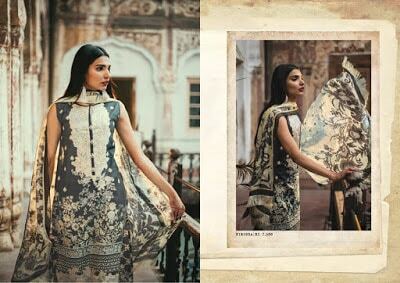 Tropical Escape, Unstitched Lawn Spring Vol.1. Synonymous with the name, the ‘Tropical Escape’ collection embodies freshness, color and radiance. A bright and deep colour palette with a wide range of prints. A collection to give you the perfect start to spring. 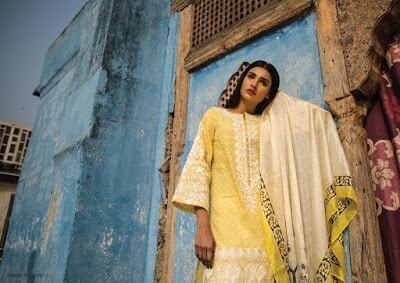 For ‘Tropical Escape’, Khaadi has introduced a bright and deep color palette with a wide range of prints giving a perfect start to the spring season! 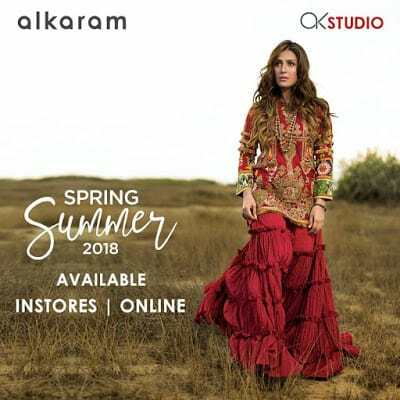 Shop for a wide variety of prints, embroideries and colours from our 2 piece and 3 piece Spring Collection Vol.1, available in stores and online. 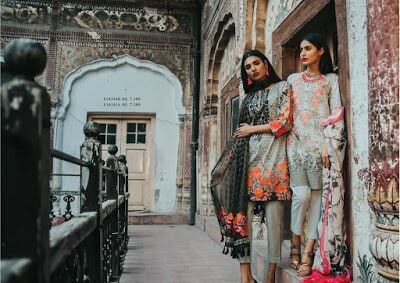 The unstitched ‘Classic’ collection is Khaadi’s signature product and is inspired by shades of spring, offering a wide range of versatile designs and displaying a mix of tribal sensibilities, deeper tones, floral patterns and tranquil hues. Find out what’s trending and how you can style a perfect spring look from the new unstitched collection!